Since your home is going to have telephones, why not wire for the future. Today's phone requirements vary person-to-person. 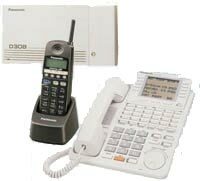 You can have multiple telephone lines, DSL or internet access at any location. If you have different phone lines for different reasons, you can control which line is accessed from where, and where phone lines ring, depending on the time of day. Also, telephones today can double as intercom or background music devices. Today's phones allow you to talk to someone at your gate or front door, as well as page announcements or requests throughout the house.